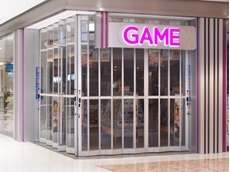 The premium grade stackable doors for retail applications manufactured in-house by ATDC have been received very well in the marketplace. 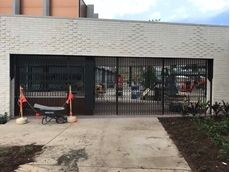 High quality expandable security doors from ATDC were recently installed at the newly opened Gympie Aquatic Recreation Centre in Queensland. 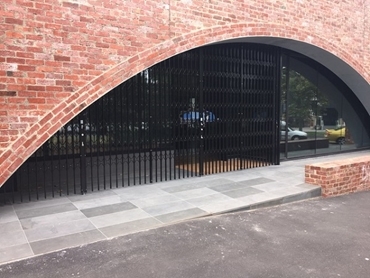 A retractable commercial security door from The Australian Trellis Door Company (ATDC) was installed at the entrance of the Baptist Church Community Hall in Miller Street, West Melbourne. ATDC’s high quality S08 curved steel retractable commercial security door was installed over a span of 8000mm in width and over 3200mm in height. The architecturally specified security door was finished in a high quality black satin powder-coated colour to enhance its sleek aesthetic lines. 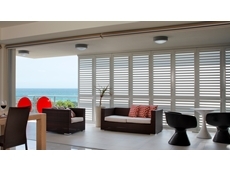 The retractable door folds back to a stack size of only 15% of the total opening span, minimising the need for storage space. 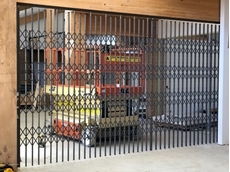 Key features of ATDC’s installation at the Baptist Church Community Hall include intermediate up/down locking mechanisms allowing lock up for the client without the need for any floor track or removable mullions; screen capable of 600mm radius turns at either 45 or 90 degrees; and offset S-bends and special curves optionally provided. 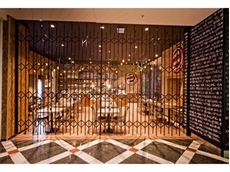 The installation was managed by Schiavello Constructions (VIC) based in Tullamarine. 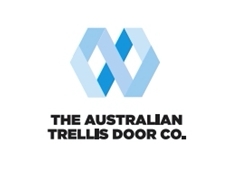 Please visit the ATDC website for more information on the S08 security door or the full range of retractable security doors; alternatively, contact them toll free from any location in Australia on 1800657435.